Please Note: Grades will not be submitted to MNU for college credit until payment to SWPRSC has been verified. ​by clicking the link included with the course description. 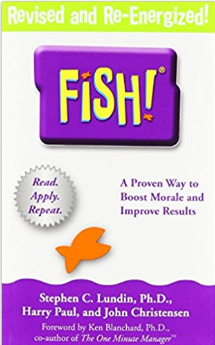 ​by Stephen C. Lundin, Ph.D.
​Addressing todays work issues (including employee retention and burnout) with an engaging metaphor and an appealing message that applies to any sector of any organization, Fish! offers wisdom that is easy to grasp, instantly applicable, and profound--the hallmarks of a true business classic. Based on a bestselling ChartHouse training video which has been adopted by corporations including Southwest Airlines, Sprint, and Nordstrom. ​for the FISH! book study. ​will earn 0.5 college credit. In the mode of other best selling business fables, the Energy Bus by Jon Gordon takes readers on an enlightening and inspiring ride that reveals 10 secrets for approaching life and work with the kind of positive, forward thinking that leads to true accomplishment - at work and at home. Everyone faces challenges. 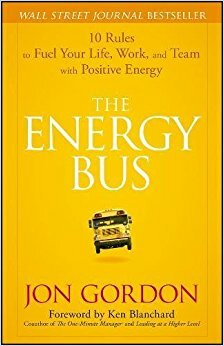 ​for The Energy Bus book study. ​ will earn 0.5 college credit. In this text, education professionals Whitaker, Casas, and Zoul, "use their combined 90 years of educational experience to present their solution: personalized professional development through networking with educators using social media." ​The text consists of eights key factors that require the reader to take its contents from declarative knowledge to application. 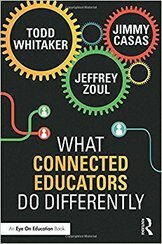 ​for the What Connected Educators Do Differently book study. Successful completion of this book study will earn 1.0 college credit. Click the book cover below to purchase the book from our Amazon affiliate store. This course will explain ways for all educators to better understand students and what their behavior tells us. A quote from the foreword states, "...punishment doesn't change behavior; it just drops hundreds of thousands of kids into the school to prison pipeline." Reading and studying this book will begin educators' thinking about how to stop traumatizing already traumatized students and how to create a socially and emotionally safe environments in their classrooms and schools. ​for the Trauma-Sensitive Schools book study. A guide for teachers and administrators who would like to be "sensitive to students' varied readiness levels and learning styles while successfully navigating through a high stakes, standardized-testing world." Wormeli is a National Board Certified Teacher, a winner of Disney's American Teacher Award for English, and a 20-year teaching veteran. ​for the Fair Isn't Always Equal book study. 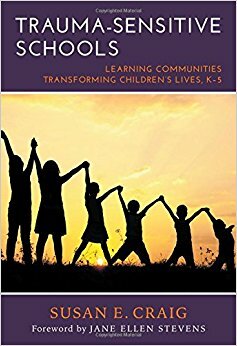 "Describes the beliefs, behaviors, attitudes, and interactions" that great teachers embed in the learning lifestyles of their classrooms. Whitaker, a professor at Indiana State University, shares both his own experiences and the research he has gathered from other great teachers in this teacher-friendly guide to great teaching. 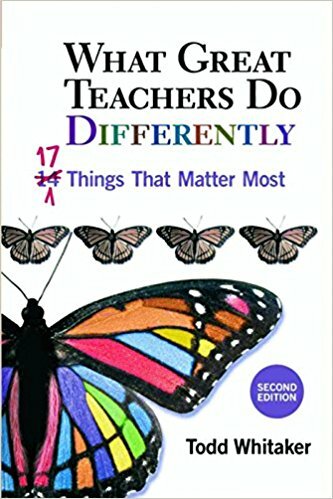 ​for the What Great Teachers Do Differently book study. "Shows teachers how to develop and/or fine tune an effective classroom management plan that is proactive, positive, and instructional - one designed to stop behavior problems before they start." Dr. Sprick, the director of Safe & Civil Schools, trains and supports over 20,000 teachers and administrators every year through his workshops and projects. 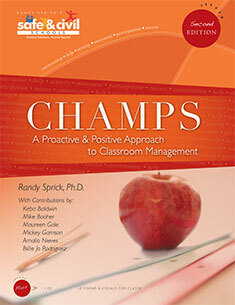 ​for the CHAMPS: A Proactive & Positive Approach to Classroom Management book study. This book explores the digital classroom observation system created by Dr. Kelly Gillespie and her team at Southwest Plains Regional Service Center. The power of the data collected through digital classroom observations provides instructional leaders with the data to motivate, nurture, and support both self-reflection and instructional conversations. ​for the ​#eWalkThrough book study. This book is intended to help classroom teachers, reading specialists, and other professionals who are involved in creating and delivering high-quality reading instruction to students. The book's 57 lessons are presented within 13 goals and address: the digital age & intentional instruction, minds-on strategy, using higher-order thinking skills to attack complex text, and more. 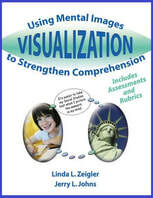 ​for the Visualization book study. Moving from Teaching with Poverty in Mind to the engagement of students is where this book study will lead your classroom. Jensen uses research, real school stories, and experiences to give practical application to the classroom. 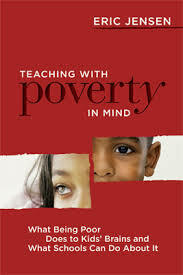 ​for the Engaging Students With Poverty in Mind book study. Along with Dave's Teach Like A Pirate, this book allows you to look at the learner and empower them to "collaborate, lead and succeed!" P(eer collaboration), I(mprovement), R(esponsibility), A(ctive learning), T(wenty-first century skills), and E(mpowerment) are the keys with practical applications to have a student-led, engaged classroom! ​for the Learn Like A Pirate book study. everything to do with the spirit. Pirates are daring, adventurous, and willing to set forth into uncharted territories with no guarantee of success. ​for the Teach Like A Pirate book study. 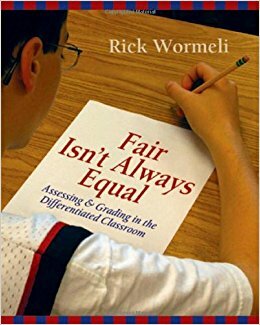 In this book, Rick Wormeli takes readers step-by-step from the blank page to a fully crafted differentiation lesson. Along the way he shows middle and high school teachers the behind-the-scenes planning that goes into effective lesson design for diverse classrooms. Planning to Practice also provides an overview of the cognitive science behind differentiation as well as a more than two-dozen tools that make differentiation doable in the classroom. for the Differentiation book study. 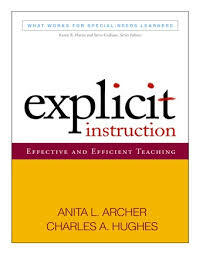 The first four chapters of this book focus on the foundations of explicit instruction and the design of lessons using this model. The second four chapters address the organization and delivery of instruction, as well as the process of independent practice. It’s the deadliest combination going: bullies who terrorize, bullied kids who are afraid to tell, bystanders who watch, and adults who see the incidents as a normal part of childhood. All it takes to understand that this is a recipe for tragedy is a glance at headlines across the country. 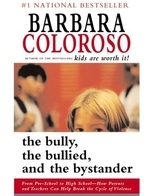 In this updated edition of The Bully, the Bullied, and the Bystander, which includes a new section on cyberbullying, Barbara Coloroso, one of the world’s most trusted parenting educators, gives parents, caregivers, educators—and most of all, kids—the tools to break the cycle of violence. CLICK HERE TO REGISTER for the Bully, Bullied, Bystander book study. 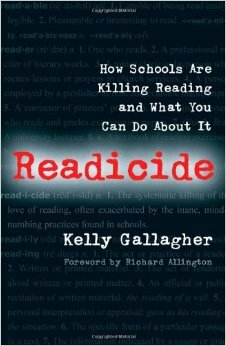 "The systematic killing of the love of reading, often exacerbated by the inane, mind-numbing practices found in schools." This book investigates possible explanations of why many students go through school with a strong dislike for reading and what we can do to turn that around. Kelly Gallagher is a teacher in California and shares strategies he uses in his classroom. This online book study expands the brain research of Dr. Marcia Tate's initial book, Worksheets Don't Grow Dendrites. Her twenty activities designed to involve students in the learning process are further expanded and encourage teachers to explore new ways to provide brain-based learning opportunities for their students. 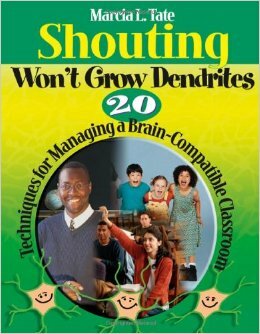 CLICK HERE TO REGISTER for the Shouting Won't Grow Dendrites book study. This course studies the effects of living in poverty and how it affects children, families and the community. We will learn what teachers can do to help students living in poverty reach true academic success. Successful completion of this book study allows you to earn 1.0 college credit hour. CLICK HERE TO REGISTER for the Teaching With Poverty in Mind book study.